The Citroen 2CV or "deux chevaux" was conceived and designed in the late 1930s. Further development was put on hold during WWII with some prototypes were destroyed and others hidden away. It was intended as a minimalist and utilitarian vehicle for rural France. As such it was engineered to be low cost and easy to repair. Fuel efficiency and a compliant suspension for traveling rutted dirt roads were also required. Most famously, it was said that the car should be able to carry a basket of eggs across a plowed field without breaking a single one. 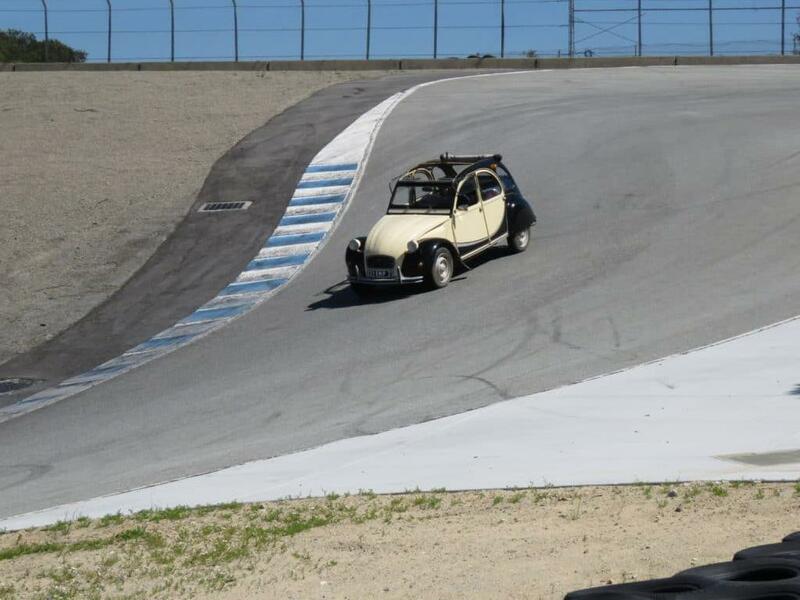 **See the YouTube video of this car racing at Laguna Seca!